Any members here have battled addiction before?Other than abstaining,finding a new crowd to mix with,exercising etc, did you use any spiritual method to help you abstain and quit intoxicants?Any specific Shabads,Paaths used?Appreciate any feedback.Thanks. I haven't battled myself, but seen a few guys go through it. What are we talking about here? Class A stuff? Thanks for the reply.Not Narcotics. It's Alcohol&Tobacco use for over 15 years. Have you managed to cut these things down from time to time? I have quit a few times in the past but started again.Now I'm giving it another try cold turkey.I have heard people do certain paaths etc also too to quit all this,just curious to know more on that part. Veer ji i heard you can do sava lakh jaap of mool mantar combinded with salok kaam krodh aur lobh moh binas jih anmhev from 6th sukhmani sahib ashtpadi the salok. As addication could be part of the 5 vices so maybe this could help as i just doing guess work as gyani thakur singh mentioned it in his katha. I have been on youtube looking for sikhi videos on addication but they seem be just more talking about their experinces rather than giving tips how to stop or go through cold turkey. But yes use youtube google as they everyones best friend for everything and anything as you will get tips on how to cope without alchool smoking and cold turkey feeling. Veer ji i heard you can do sava lakh jaap of mool mantar combinded with salok kaam krodh aur lobh moh ﻿binas jih anmhev ﻿from 6th sukhmani sahib﻿ ashtpadi the salok. Thanks veerji.Appreciate the answer.So you mean read mool mantar and the salok together?Or must it be done separate? 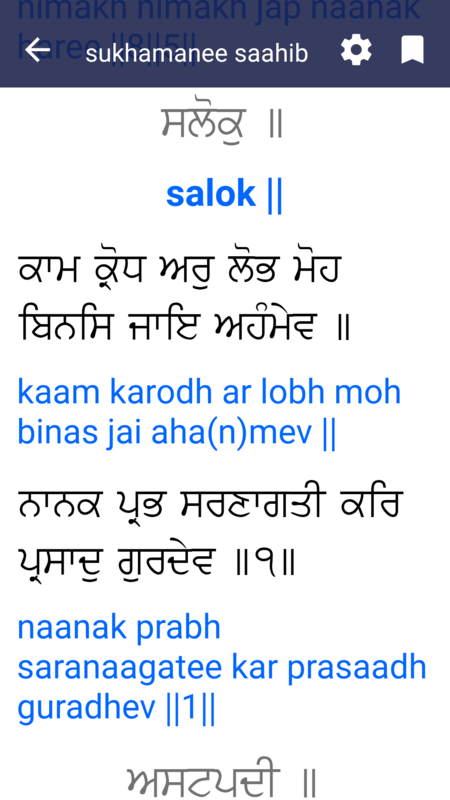 Veer ji it has must read together like first mool mantar full until nanak hoise be sach then the mentioned salok. Yes its together veer ji. Thanks Veerji. So it will be Mool Mantar+ Salok Kam Krodh Aru Lob Moh, Binsi Jae Ahanmev, Nanak Prabh Sarnagati, Kari Prasadu Gurudev. Yes veer ji thats correct yes. You can do as much jaap as possible here is a screenshot of the salok i made for you. @Jageera veer ji here is a post i posted with a shabad mentioned by gyani thakur singh about thoughts here is the link if you are interested. I must say i like your username jageera as it reminds of me of a film character who i really liked in a movie i saw a while ago. I must say i like your username jageera﻿ as it reminds of me of a film character who i really liked in a movie i saw a while ago. I couldn't help but feel your situation because I know what it's like. I can only tell you what I know from the way I've handled things. Although its a stage of my life that I'm extremely ashamed of, I'm aware of the darkness and difficulties. I remember how I'd regret most mornings and promise to not do it again. 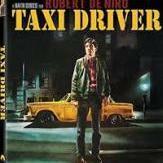 Sadly, just past afternoon, when i'd be more or less fully sober, I'd fall into a sudden slump of depression. Worried about how I would make it through to the night, I'd be craving and planning my evening liquor session. The anxiety, frustration, and just the plain fear of being sober. Sometimes, it was as if I felt naked without any drink and needed it to cover myself up and be presentable. My mind would be working full speed to convince me that tonight it would be okay just this once to get rat-assed again. I went up and down like a yo-yo many times. Problem was that I was looking to fill this hole that everyone looks for. As manukhs, we tend to fill the hole with 5 vices. When I went to AA meetings and was working on step plans, I found myself spending more time at casinos. Although I wasn't drinking, I was frequenting other naughty places as well as squandering thousands in casinos. Now, after 20 years, I realize that the "hole" I was looking for was "naam" and because I never found any naam, I just went from drinking on to other vices. There's people out there addicted to gossip, addicted to tv, addicted to kaam, addicted to violence, addicted to moh of possessions, addicted to moh of relations, lobh of money, lobh of more square feet to own..and so on. Either way, theire lives get consumed by panj doots unless they become Guru ka sikh and start practicing as guru ka sikh. - Eventually, I plucked up the courage to start 10,000 mool mantar over 10 days. 1000 /day. This was advised by local gyani and I just took his word for it. He said do it 10 days, no khaana peena, just simple daal roti. Wake at 4am, bathe shower whilst doing Waheguru jap, then sit down cross-legged and do 1000 malas preferably with an extra mala of 108 at the end. Then wait a few days and start again on Sunday. So it went from Sunday to Sunday (8 days inclusive) plus Monday and Tuesday week after (10 days), then a break on wed, thu, fri and Saturday to start again on Sunday. Gyanee told me to go back after a month and see him. When I went back the first time, the first thing he enquired was whether I had fallen off the wagon and hit the bottle after first 10 days. But I hadn't, the vegetarian rehat and maintaining of purity on the outside did somehow cleanse my dirty mann from the inside. After 2 months, I changed my life around and started to focus on nitnem and doing simran with techniques my dad had taught me. I've never consumed any liquor since or even had any urges. After all, it was the urges that were eating me in those days. I strongly suggest you follow official advice as mentioned by soulfinder veer. I honestly believe the 5 vice salok will be beneficial. I explained before how I found myself switching from one vice to another after I started AA. I truly believe that it's our human nature and the 5 dhoots power to fool us this way.Doing the salok in addition is a vey good idea. In the end, it's not just about getting off the liquor, it's about a whole new transformation into a newer you. I remember that during the second mool mantar japs I found myself with lots of physical energy and started powerlifting and pumping weights that I didn't think were possible for me. Doing this will also be beneficial for you if you start with small weights and combo reps.
Glad to share veer ji ! I haven't seen that movie. But the one i was reminded of was of Pran's character as Jageera in the movie Insaaf Kaun Karega which i really liked his role character a lot. Wow veer ji you do have kirpa on how you did jaap simran to help deal with your alchool addication and how it worked. I do hope the jaap that i mentioned to jageera veer ji on here from gyani thakur singh's katha does help him as the root of all problems are the 5 vices mentioned in the salok. Also another mention veer ji i heard is that when eating food is to avoid watching television at all cos the food has effect of up to 4 hour on the mind and also its best to do 5 mool mantars before and after eating and the salok mentioned as well. I heard this mentioned in gyani thakur singh katha and Sant Jagjit Singh Ji Harkowal article. Baba Harnam Singh Ji Rampurkhera Wale used to do Jap Ji Sahib after eating i heard in katha. I don't know veer ji but nowdays all i am interested is doing my nitnem banis plus the bir ras dasam banis that put the spark in me as i seem to have lost interest in movies going out and just feel happier doing my banis paath that Waheguru forgive me for saying and writting this sitting in guru ghar as the bir ras banis gaves me more bliss anand ras compared to going to the gurdwara. I heard this is natural cos a gursikh friend told me when he started doing simran paath he felt the same as well. Do you feel like this as times or is it me ? Thanks veerji.Appreciate it.Your response has motivated me even more to start Mool Mantar jaap.1 question.The Mool Mantar jaap you read it out loud or silent in your mind only?How many hours did it take you daily to complete 1000 Mool Mantars? Just an update.Today marks 100 days since I quit Alcohol and Cigarettes.Still think about it once in a while but the strong urges have gone. Social life took a hit as I rarely go out any longer but no problem.It is better this way.Now is a time I get to know who my real friends are. Been doing daily some Mool mantar jaap,Japji Sahib,Chaupai Sahib,some breathing simran and I believe it is powering me to carry on. I will update again here in another 100 days.Thanks to all members here who helped me in this journey to clean up my act. Veer ji its really good that and may Waheguru keep doing kirpa on you like this as its good that the urges have gone as it can be really hard but its over now which is great.